Let me presume that you suspect you have Asperger’s syndrome, know someone who might or just wonder what it is. Somewhere along the line, you must also be wondering what can be done about it. Can Aspergers be cured or, at the very least, altered? If so, how? Who could make that change happen and what would it look like? Most experts believe that Aspergers cannot be cured in the sense of eliminating it all together. But the challenges and difficulties of Aspergers certainly can be alleviated, in some cases to the point where it is no longer a hardship. In my practice as an adult Aspergers psychologist, I have seen many adults benefit from activities and programs that compensate for the demands of this condition. Here is a description of what I recommend doing to help someone improve their life with Aspergers. I can’t emphasize enough how important an accurate diagnosis is in helping someone with Aspergers. 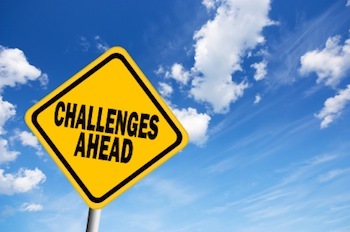 It’s the same as any situation that’s challenging, unless you know what you’re dealing with, solving those challenges is next to impossible. An accurate diagnosis is essential to planning a course of action. Without it, everyone is in the dark. The first thing I recommend to someone who thinks they may have Aspergers is to find out if that’s true. What we do next depends almost entirely on the answer to that question. Diagnosing Aspergers is not complicated, as long as whoever does it knows what they are doing. An experienced clinician needs to conduct an assessment of the person’s social reasoning, language and cognitive abilities, communication and understanding of emotions, interests, sensory perceptions and self-help skills. The diagnostic assessment includes a review of the person’s medical, developmental and family history. In some cases, screening and assessment instruments specifically for adults are included. In my practice, at the end of the diagnostic assessment I provide a summary and review of those characteristics in the person’s profile that are consistent with a diagnosis of Asperger’s syndrome and whether the signs are sufficient for a diagnosis. Planning a course of action is possible once a diagnosis of Aspergers has been made. The possible actions depend, of course, on the specific challenges of the individual. In some cases, improving relationships with others is a primary concern. For others, developing greater self-help skills is paramount. Living with Aspergers can result in low-self esteem, depression, an impaired sense of self-worth, insecurity and other emotional and psychological barriers to a satisfying life, and corrective measures to help these difficulties can be spelled out in the planning stage. The planning stage is not just about figuring out what to do but also how to assess what’s been done. I make it a point to plan with people how we’ll know whether we’ve accomplished our goals before starting any interventions, otherwise we end up shooting in the dark, not knowing where we’re going and how we got there. Psychotherapy is an important part of my work as an adult Aspergers psychologist. The type of psychotherapy I find helpful is based on a thorough understanding of the nature of Asperger’s syndrome, especially the ability of the person to understand and communicate thoughts and feelings, and the concepts of self-image, self-esteem, and self-acceptance as they relate to someone with Asperger’s syndrome. An important goal of psychotherapy is to help someone achieve a realistic appreciation of who they are and to recognize their strengths more than their weaknesses. Psychotherapy can help the adult develop a concept of self that is grounded and realistic, based on an appreciation of personal qualities. Understanding the nature of Aspergers and which characteristics of the syndrome are expressed in the person is crucial to the psychotherapy process. Two of the ultimate goals of psychotherapy are to understand and accept who you are. This is as true of adults with Aspergers as it is for anyone, and I make it a special point to work towards this end. From my clinical experience of adults with Asperger’s syndrome, I have observed that for many, the signs of Aspergers can decrease over time. I have known some who have progressed to the point where only subtle differences and difficulties remain. Is there one thing that separates these people from others whose progress is not as noticeable? To be sure there is not just one thing, but at the same time, a positive outlook on life seems to make a very real difference.